The Mountain tapir, Tapirus pinchaque, is the smallest of the extant tapir species and the most endangered. It was classified by Western scientists in 1829. The Mountain tapir is black or very dark brown, with occasional pale hairs amongst the darker fur. The fur becomes noticeably paler on the underside and on the cheeks. A distinct white band runs around the lips, although it may vary in extent, and there are usually also white bands along the upper surface of the ears. In adults, the rump has paired patches of bare skin. Unlike all other species of tapir, the fur is long and woolly, especially on the underside and flanks, reaching 3.5 cm (1.4 in) or more in some individuals. They have have a stubby, vestigial tail, and like all other species of tapir, have a flexible proboscis and four hooves on front feet and three hooves on rear feet. It is the smallest of extant tapir species, averaging around 1.8 m in length and 0.75 to 1 m in height. They typically weigh between 136 and 250 kg, and while the sexes are of similar size, females tend to be around 25 to 100 kilograms heavier than the males. The mountain tapir is found in the cloud forests and páramo of the Eastern and Central Cordilleras mountains in Colombia, Ecuador, and the far north of Peru. Its range may once have extended as far as western Venezuela, but it has long been locally extinct in this region. It commonly lives at elevations between 2,000 and 4,300 metres, and the animal’s woolly coat is essential at this altitude. 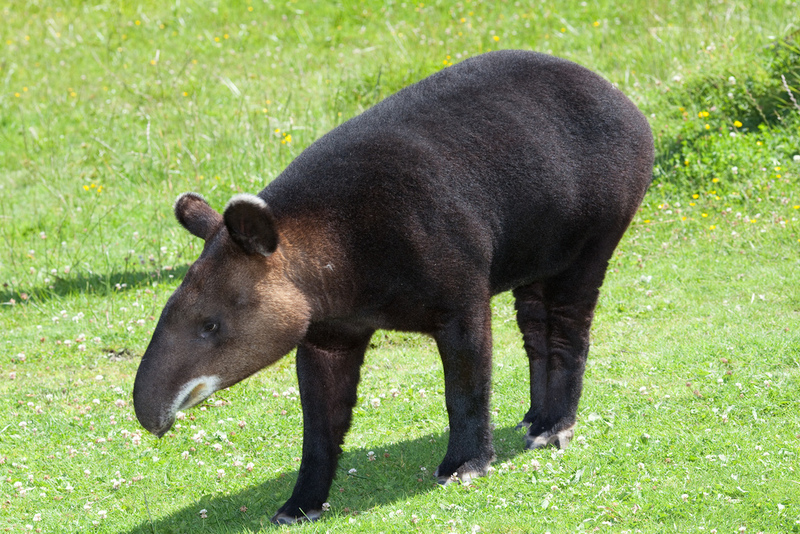 During the wet season, mountain tapirs tend to inhabit the forests of the Andes, while during the drier months, they move to the páramo, where fewer biting insects pester them. In 1994, the IUCN reclassified the Mountain tapir as Endangered due to an ongoing and presumed future decline estimated from loss of habitat, fragmentation and hunting pressure. It estimates that population declines are greater than 50% in the past 3 generations (33 years) and will be greater than 50% decline in the next 3 generations (33 years). There are estimated to be less than 2,500 mature individuals remaining, with an estimated continuing decline of at least 20% in the next 2 generations (22 years). There is significant hunting pressure on the Mountain tapir. 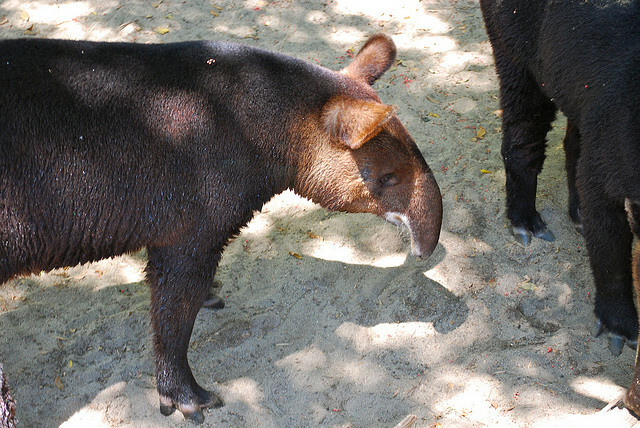 It is extremely rare to encounter an area with mountain tapirs where they are not being over-hunted. There has also been widespread cattle introduction into the last remaining mountain tapir refuges. Cattle invasion into mountain tapir sanctuaries is occurring and negatively affecting the mountain tapirs, as well as increased hunting associated with vaquero roundups of the mountain tapir. 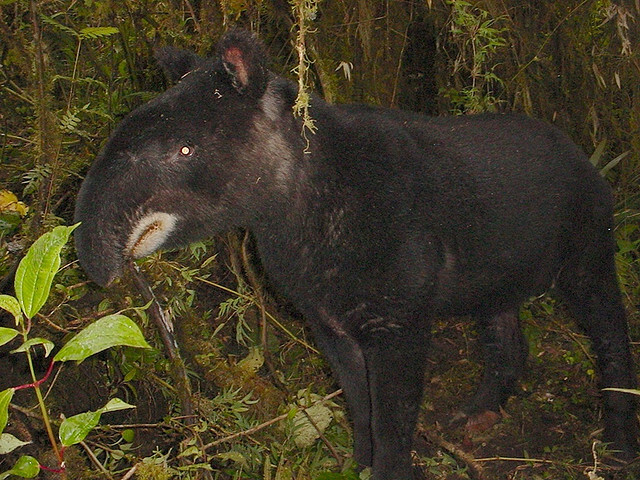 In addition, a mining project in northern Peru threatens to destroy the headwater cloud forests and paramos of the scant population of mountain tapirs there. The mountain tapir population is fragmented as a result of human activities.